Have you ever had one of those years? You know the type I'm talking about. The class that no matter how many interventions you try, no matter how many clapping patterns, cute songs you sing, or how many times you ring the chime or shut off the lights they just keep talking. And talking. And talking. While you are talking with them about listening while you are talking they are....you guessed it....talking. I feel like I have exhausted every strategy I know to alleviate the excessive talking and loud chitter-chatter. Now, please don't get me wrong. I love that they have personality and in no way do I expect or even want a silent classroom but it would be nice to be able to open our classroom door once in awhile. It would be nice to do a read aloud without 15 interruptions. Let's just say my class this year has a lot of personality. I've had to pull out all the stops. I have 17 years of teaching under my belt but I'm always learning new tricks and a few I've learned this year have really helped with classroom control. A great strategy for to aid in getting those "wiggles" out has been brain breaks. 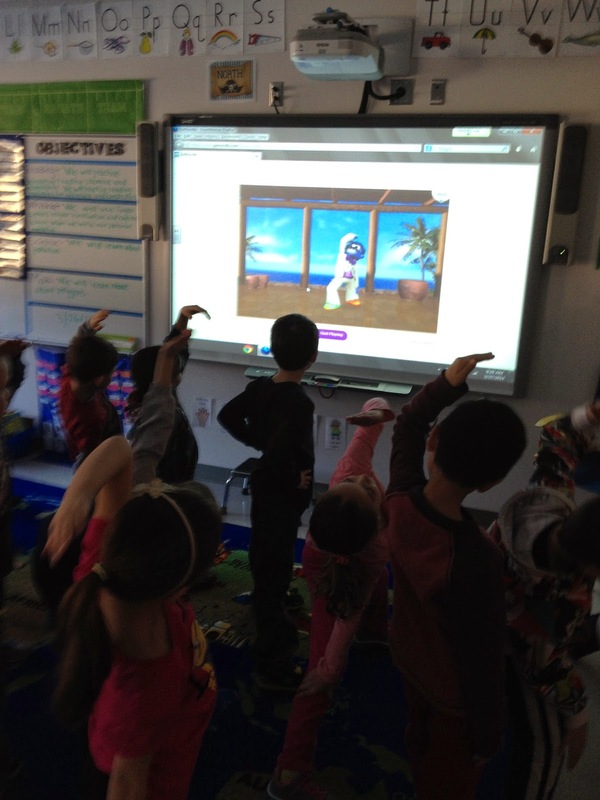 I first found out about Go Noodle from the fabulous teachers I follow on Instagram. The kiddos love it! So, to bribe them as a motivator, we begin the day with 3 opportunities for brain breaks. I make 3 tally marks on the board. 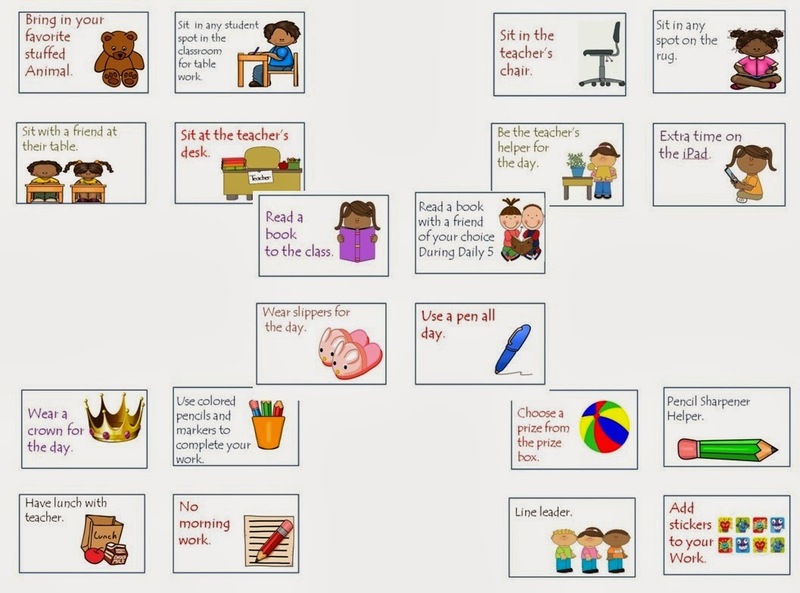 The class works together to maintain the 3 brain breaks (one in the morning, 1 midday, and one in the afternoon). If they need too many reminders, are too chatty, etc. I erase a tally mark and they lose a brain break. I don't say a word I just erase the tally. Let me just tell you...you should see the looks on their faces. So far, this has only happened twice. Brain breaks have become highly motivational. It has been a loooong, cold winter here in New England. There have been more indoor recess days than any year I can remember. Adventure to Fitness is a website in which teachers can sign up for free with an email account. This is an excellent site to help get kids moving with free physical activity videos that incorporate common core-aligned learning and fun! Here is a brief video of the program. Another idea that I found on Pinterest was for behavior reward coupons. I do have a classroom prize box but I wanted some other options that wouldn't put a significant dent in my wallet. I decided to make and try out reward coupons. Let me tell you....this has rocked our world! The kiddos love this! They can choose a reward coupon for having 15 punches on their pink cards (see my tickled pink post ) in lieu of a prize from the prize box or I can reward them to a students. I have given out reward coupons for hard work, showing responsibility, acts of kindess, and a myriad of other positive behaviors I may see in our classroom. Lately, more students are choosing the reward coupon instead of the prizes! The most popular ones are: Be the teacher's assistant for the day (the kiddos love being called Mr. or Mrs.), bring a stuffed animal into school, and have lunch with the teacher. The reward coupons that I use in my classroom are free in my Teacher's Pay Teacher's Store. Just click on the picture below. If you gotta do it....have fun doing it!